Okay, this is by far the weirdest Italian name I've ever heard. PS Angelo Alessio was whack too. Boity Moise Kean it is. whats worth noting is that he also started vs Ternana in the cup. Guy seems to be considered started by de Zerbi. What a masterpiece by Paratici, unknown guy bought for 5m and sold for the same amount with recompra. See Milan fans reaction when this guy becomes bigger than Caldara. Let’s buy him next year for 12m and offer him in package with Dybala for Higuain . bought for 5m, sold for the same price, 12m recompra, right? 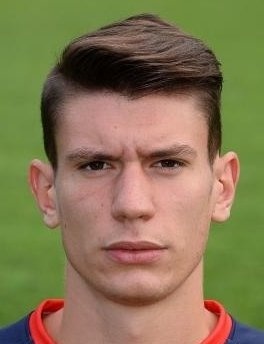 btw i've never seen him play, but if he's the new caldara, i'm on the hype train. Here we're saddened by the loss of Caldara, but Beppe already has a replacement booked lol. it doesn't actually. there's no plusvalenza on him, and the premium for the recompra is quite hefty. that's what made me wonder why we did it. we usually use these young players as either investments in footballing terms like rugani or mandragora (who'll be back to juve in a couple of years i guess), or investments in financial terms to generate some plusvalenza. but usually beppe leaves both doors open - in this case, the no plusvalenza tactic added a tiny surprising element to the mix. you just can't predict this guy. This is all on Paratici, he does the scouting. Beppe's the financial genius. Watched the entire game against inter, and he was an animal. It’s just one game, but it was also his debut in Serie A. He shut down not only icardi, but also had moments of brilliance against perisic and Keita Balde as well. 12m is going to be a joke of a bargain and he’ll only be 24. It also lines up with the end of Chiellini and Benatias contracts. 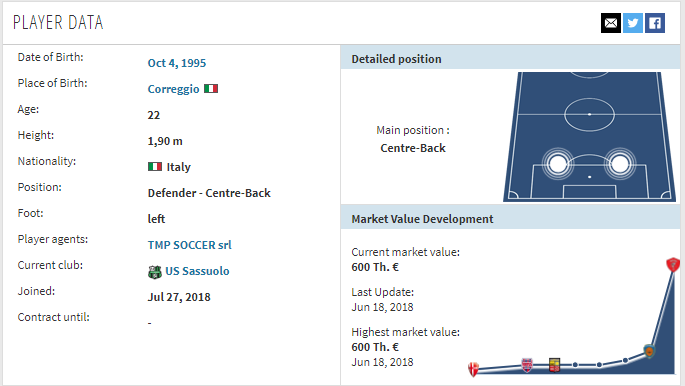 My question is what happens if sasssuolo wanted to sell him after this season? Our buy back is for after the 19/20 season. Surely they could get more than 12m for him if he keeps this up. Is there some sort of agreement not to sell him elsewhere before 19/20?